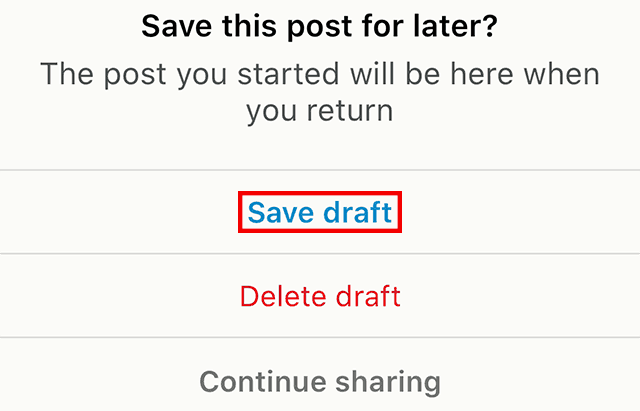 LinkedIn now allows users to save an unfinished post as a draft and come back and finish it later on. Our guide will show you how this works. 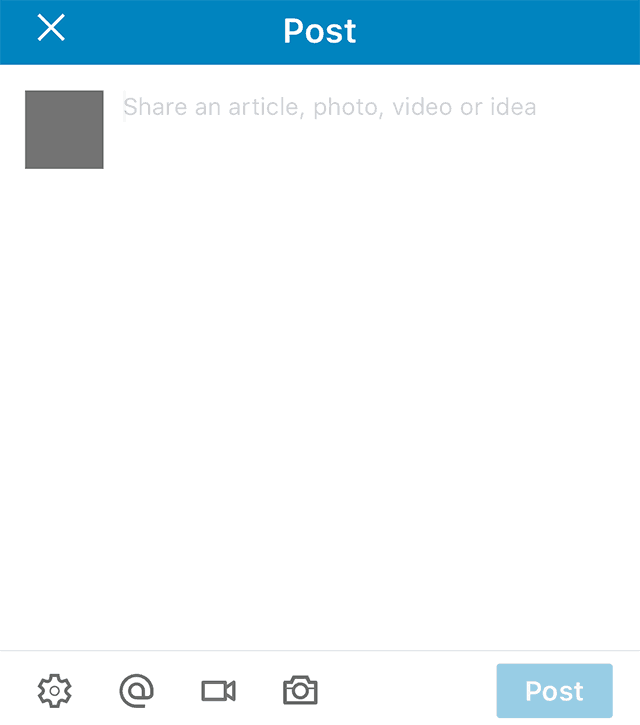 Step 1: Tap “Share an article, photo, video or idea” at the top of your LinkedIn home feed to begin creating a new post. Step 2: Start creating your post. Step 3: When you want to save your post as a draft, tap the “X” in the top-left corner of the screen. Step 4: Tap “Save draft” at the bottom of the screen to save the post as a draft so that you can continue editing it later on. When you want to continue working on the post, just tap “Share an article, photo, video or idea” again, and your draft will be loaded automatically. Note: You can only have a single draft saved at any one time.